When braces become a part of your everyday life, there are certain regimens our Phoenix AZ orthodontist recommends to all of our patients. Brushing after every meal is one of them, along with avoiding certain foods, like corn on the cob and chewing gum. The goal is to get a healthy, straight smile at our Phoenix orthodontic office, and any food that’s hard or chewy runs the risk of loosening the wires on your braces and setting back any progress that’s been made. Fresh pineapple, without all the added sugars found in canned pineapple, is a sweet treat our Phoenix orthodontist suggests in place of sugary foods, like ice cream. Because pineapple contains many vitamins, like vitamin C, vitamin K, and bromelain, it assists in providing healthy gums and strengthening your teeth. Watermelon is another fruit that can not only satisfy your sweet tooth, but also benefit your mouth by strengthening your teeth and restoring enamel. A ripe watermelon is soft, which makes it easy to eat, plus it contains phosphorus and vitamin C, which work together to improve your oral health. 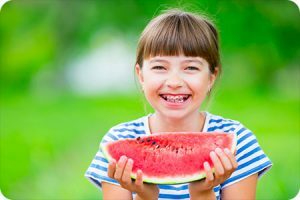 Our Phoenix AZ orthodontist suggests eating watermelon at room temperature, as cold temperatures can weaken the bonding on your braces. Our Phoenix AZ Orthodontist Is Here to Help You! Need more food suggestions? Our Phoenix orthodontist is available and happy to help you plan a diet that’s not only full of foods you love, but also benefits your overall oral health. The information provided in this article is not meant to be medical advice and is for educational purposes only. 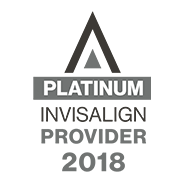 If you would like to learn more about this and other topics related to orthodontics, feel free to contact Feldman Orthodontics, with a convenient orthodontic office near Phoenix AZ, by clicking here or by calling 480.719.6320.